If you haven’t got the photos to prove it, have you even really been? Travel photography has moved on apace in recent times. Gone are the days of the sit-down ‘holiday picture viewing’, when families gathered unwillingly in darkened rooms to sit through slide shows of granny’s trip to Blackpool. Now you can share your travels with the world at the press of a button, and in a crowded market of travel bloggers and Insta-junkies, different destinations have a clear sense of currency. 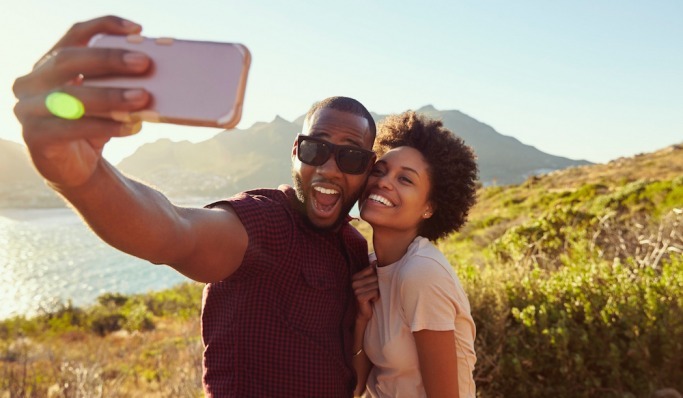 Huawei has examined 1.3 million social media accounts, and narrowed down the most desirable, spanning cities, jungles, deserts and beaches. The world’s largest waterfall, we’re fairly surely this one was considered a ‘must-photograph’ spot when cameras still used pinholes and iodine. The only privately owned cruise destination in Alaska, visitors are comfortably outnumbered by brown bears, bald eagles and humpback whales. Throw in one of the world’s largest ziplines and indigenous culture to explore, and it’s little wonder Icy Strait Point attracts more than 100 ships a year.